Yes, I did read his post. What did Nikon do when the D600 buyers had a problem with their new FF cameras? 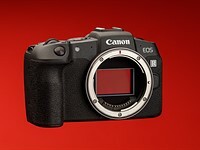 They launched the D610 with modifications that rectified the issue and if D600 owners wanted it they could always buy it. Many of the OP's reasons for changing to a D800 are valid but let's not pretend that owning a FF DSLR Nikon makes anybody more of a photographer and less of a consumer, please.